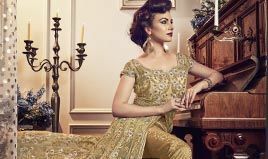 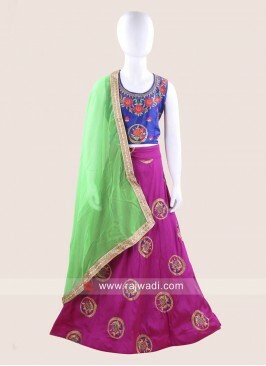 A Deep Pink plain Lehenga with Orange embroidered Choli and Chiffon dupatta. 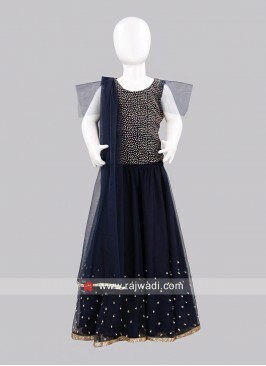 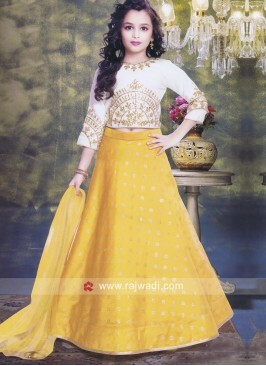 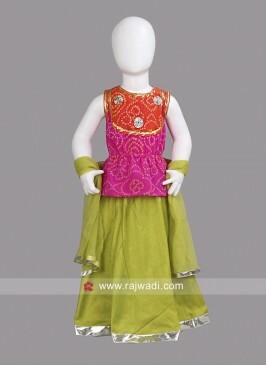 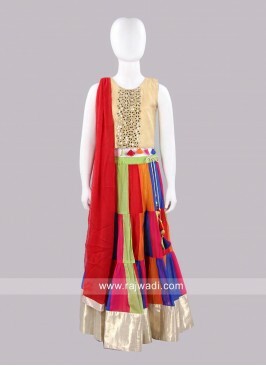 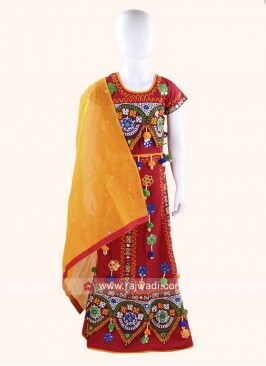 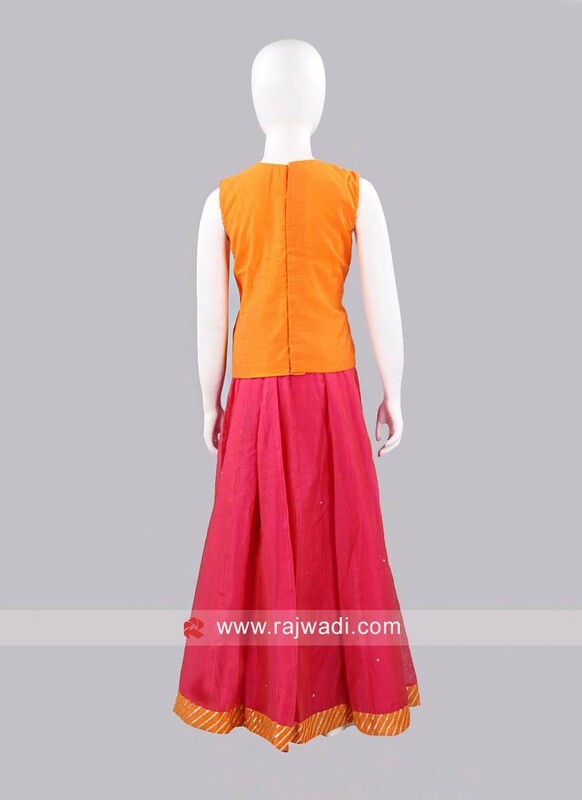 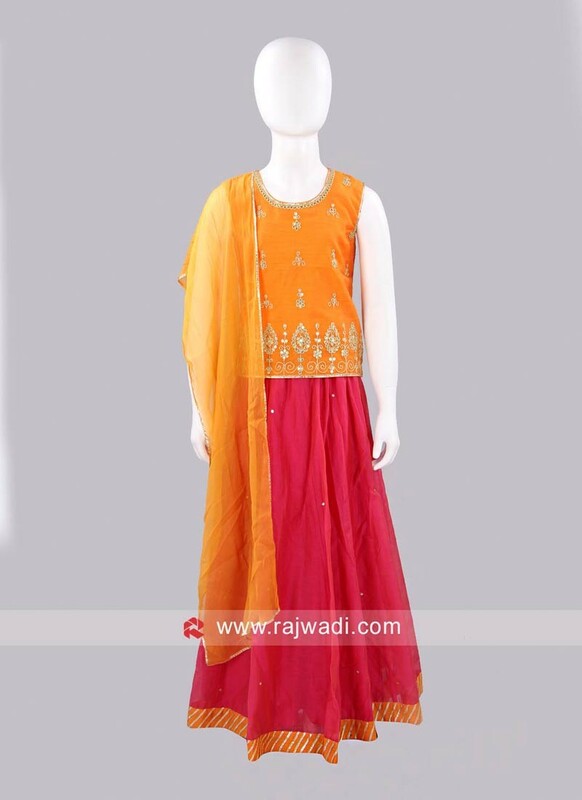 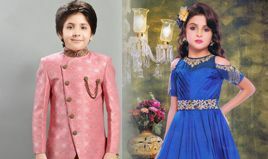 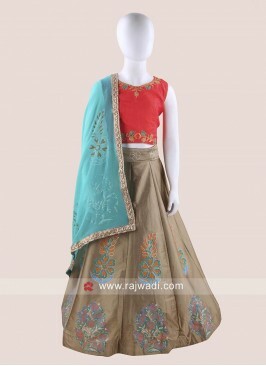 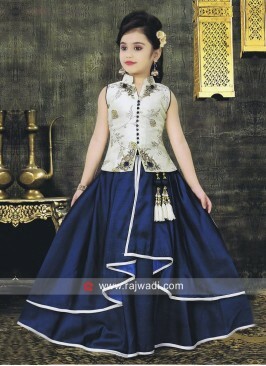 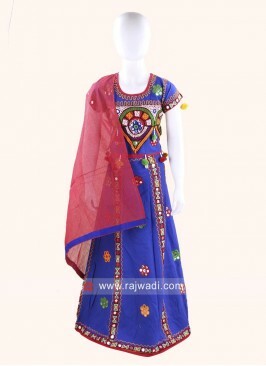 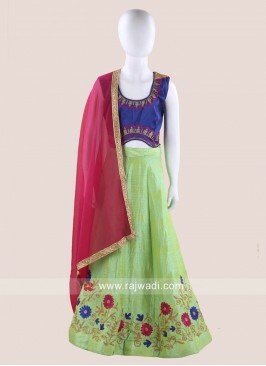 This Lehenga Set will make your daughter feels spacial and comfortable all day long. 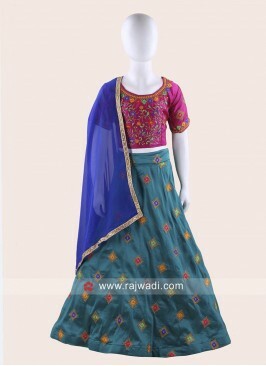 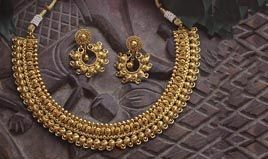 Art Satin Silk Chaniya Ch.. 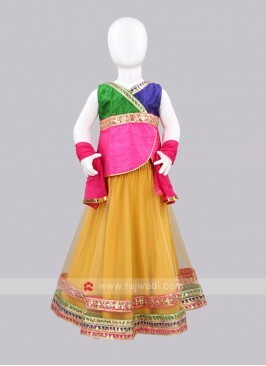 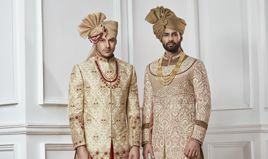 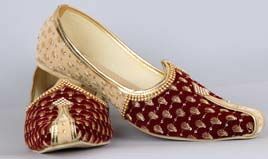 Girls Tikki Work Silk Cho..